The Rollin M. Gerstacker Foundation has made an additional commitment to provide match funds for the Michigan 4-H Foundation’s county endowment match campaign. From supporting 4-H volunteer training and 4-H environmental education to funding multiple renovations to Kettunen Center including sponsorship of Cedar Lodge’s Rollin M. Gerstacker wing and furnishings – the Gerstacker Foundation has been a major supporter of Michigan 4-H since the 1980s. The Rollin M. Gerstacker Foundation was founded by Mrs. Eda U. Gerstacker in 1957 in memory of her husband. Its primary purpose is to carry on, indefinitely, financial aid to charities of all types supported by Mr. and Mrs. Rollin M. Gerstacker during their lifetimes. In addition to support through the Michigan 4-H Foundation, the Gerstacker Foundation supports 4-H locally in Midland County. With the additional support from the Gerstacker Foundation and others, the Michigan 4-H Foundation has received commitments to complete the $1 million match pool. The county 4-H endowment match pool provides a 1:1 match for gifts from 4-H clubs, volunteers, parents, members, staff members and friends to build county 4-H endowments. 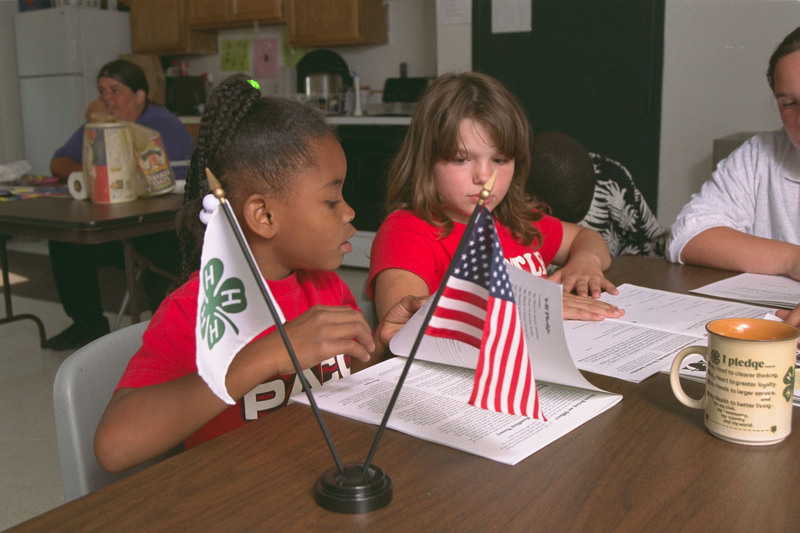 Since 2014, 4-H programs in 31 counties have participated in local campaigns to create and grow local 4-H endowment funds. These investments will provide on-going support for 4-H program delivery in local communities for generations to come. Learn more about the county 4-H endowment campaign. The match opportunity would not have been possible without investments from match pool donors to provide the matching funds. In addition to the Gerstacker Foundation, the match pool was built by investments from the Herbert H. and Grace A. Dow Foundation, the Seevers Family Foundation and a number of individual leadership donors. Gifts are welcome at any time to continue to grow any county 4-H endowment fund.